Located in the Historic Boston Edison. This home features 6 Bedrooms, 3 Full Bathrooms, 1 Lav and 2 Car Detached Garage. The Basement is unfinished but features a stair case to the rear yard. The Buyer must submit estimated cost of renovation along with proof of funds. The Seller will also require proof of buyer's ability to complete the repairs. All offers are due by close of business on FRIDAY, 2/15/2019. 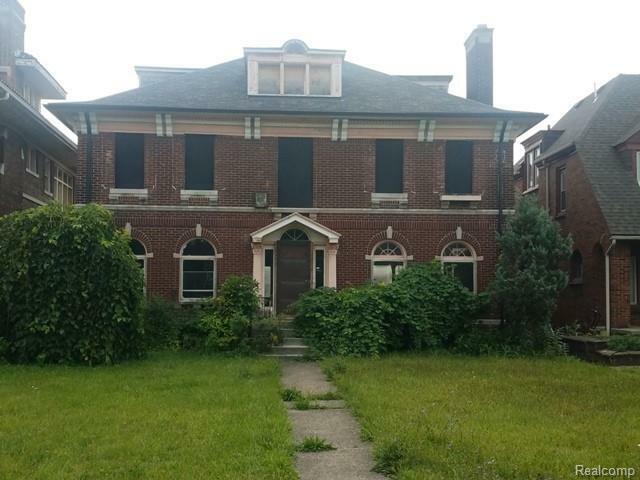 Please note that the Detroit Land Bank Authority is entitled to a tax capture for the 5 tax years subsequent to to transferring ownership of the property. The tax capture may be incompatible with tax abatement that are otherwise available to the selected purchaser. DLBA will review requests to waive its tax capture rights and may require a payment in lieu of taxes to approve such requests. The payment will be determined upon reviewing the development proforma and effect of any tax abatement on the purchase and development financing.